Glasgow has always been known for its live music, and at the heart of any music community it is the live venues and buildings that are important, and play host to local and touring acts. One of the main reasons for Glasgow's continued blossoming as a cultural capital is the infrastructure of clubs and buildings available for live performances. 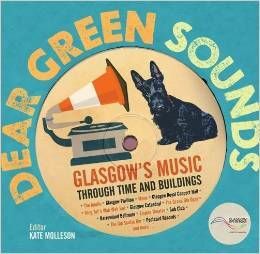 This book in glorious colour throughout tells the history of the city's music through Glasgow's famous landmark buildings by people best placed to tell those stories - music writers and journalists and historians. This book is a collection of memories and stories about the buildings that hosted stars such as Michael Jackson, Joan Armatrading, Joy Division, among many thousands more - ranging from the Apollo to the Pavilion, Piping Centre, Sub Club and King Tut's.